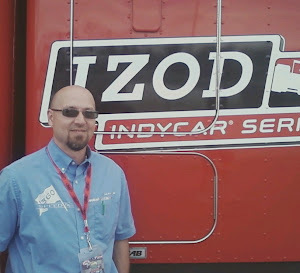 After watching all the action at Daytona, it’s time to start thinking about the 2012 season, when a race fan can get out and see the action first hand rather than watching it on a 42 inch HD TV. If only I lived in Florida with the all the action around Speed Weeks and the short track racing on both the local pavement and dirt tracks. However, the wait up here in the north is a bit longer, but there will be plenty of great racing to see as this year unfolds. 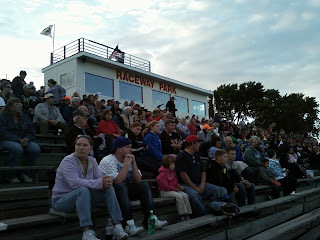 April has traditionally been cold and wet, forcing many tracks to schedule and reschedule their opening night events. Let’s hope that the mild winter that we had will turn into a mild spring and tracks can open on time this year. I have compiled a list of races that I would like to see this coming year and I don’t think it covers everything. Local short track action is always exciting and each track offers a unique experience and always plenty of action. 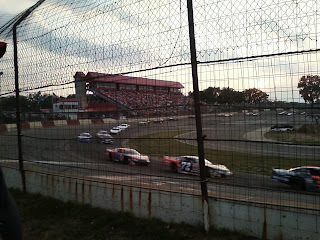 Friday nights have long time bullring Princeton Speedway on my list as I always enjoy the tight high-banked dirt track. 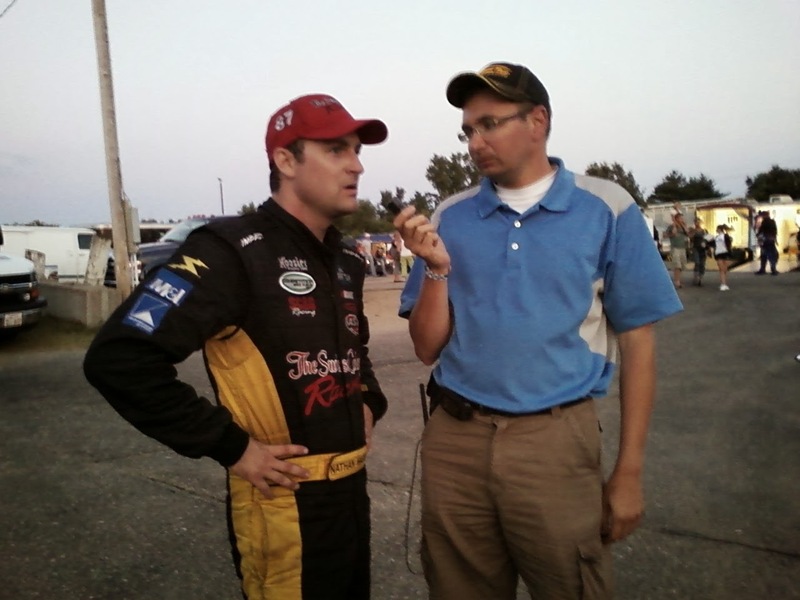 For many years I have had an association with the I-94 Speedway in Fergus Falls, it’s been a few years since I have been up there, but I have been hearing great things and I need to find a way to get back out there. 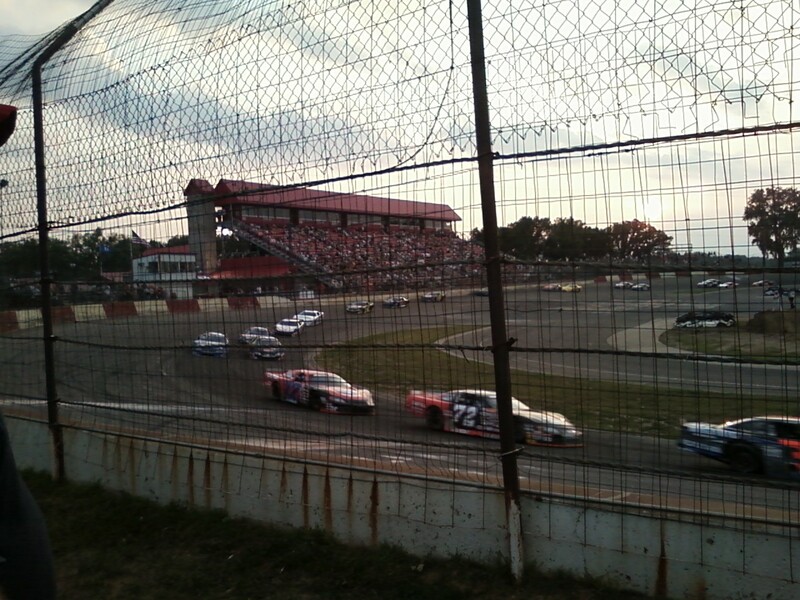 Saturday nights provide plenty of options as Elko Speedway (photo above) once again will have a great weekly show, with a couple of big races on schedule as well. The one that I have circled is June 2nd, when the ARCA Racing Series makes its first ever visit to the state of Minnesota. This series is the one for many of the up and coming drivers and should be a lot of fun to see some of racings future stars. 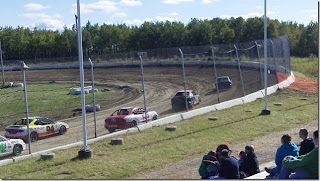 Ogilvie Raceway is a new track within the last couple of years and surprisingly, I still haven’t made it there yet. 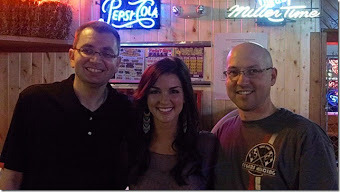 Well, this year I plan on checking out the buzz at the 3/8th’s mile dirt track. Rounding out the weekends are two more fantastic options. Raceway Park (photo above) in Shakopee, “The Action Attraction” looks to live up to its billing as it caps off weekends with Sunday night racing (the figure eight races are nationally known). 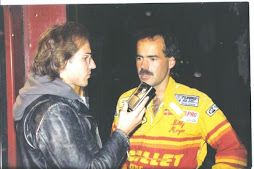 This year another Sunday night track, Granite City Speedway (formally the Golden Spike Speedway) will be reopening and once again will give me another option to catch a great short track show (photo below). The ASA Midwest Tour opens its season May 5th and 6th at Madison Wisconsin, it’s a bit of a drive, but it would be a fun race to attend. The spotlight will shine on the series on Tuesday June 12th with a trip to the historic Milwaukee Mile. Several NASCAR drivers are expected to participate and I’m still trying to figure out how to make this weekday race and road trip work. Saturday August 18th the tour comes to Elko and returns again on September 22nd. 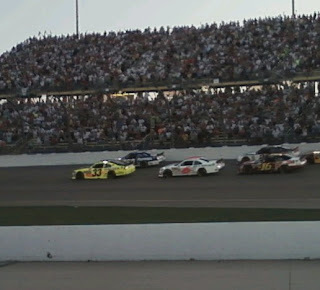 A stop at Iowa Speedway is thrown in between on September 14th, before the big finale on October 7th in the Octoberfest race at LaCrosse. I’m a little disappointed that the series won’t be racing at Raceway Park this year, but I am glad that they added the second Elko race. So, I should be able to catch up with the Midwest Tour at least four times this year. 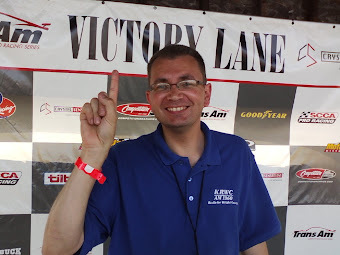 Over the last couple of years, I have developed a new found interest in road racing and Brainerd International Raceway (photo above) has two huge events that are on my must see list. 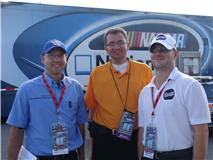 The first is May 26th with the NASCAR K&N Pro Series who will be making their first trip to the track. 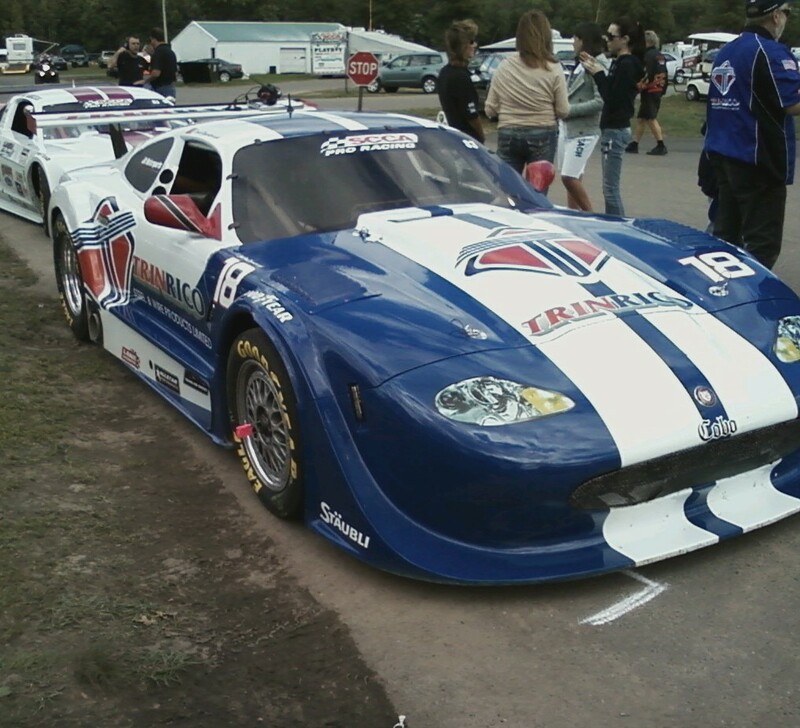 The other must see is the Trans-Am Series on September 2nd. The unique thing to remember with these races is that they run rain or shine, I just have to remember to be prepared. Finally, a couple of road trips are in order this season to “America’s Place To Race”, Iowa Speedway (photo above) in Newton, IA. It’s really not a bad or long trip and well worth the drive. 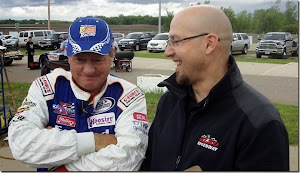 The NASCAR Nationwide Series will be there May 20th and August 4th, the Camping World Trucks will be there July 14 and September 15 and the Indy Cars will be there June 23rd. I know I won’t be to make all of these but at least two or possibly three I plan to attend. 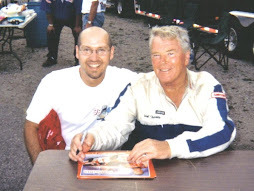 As I sit in my living room, watching racing on TV, I can’t wait until I can see the cars, feel the thunder of the engines and smell (whatever it is to smell), of racecars flying around a track in front of me live and in person. Watching racing on TV is great, but there is no substitute for actually being there. Obvious choices would be Jimmie Johnson, well because he’s Jimmie and we know what he can do and Tony Stewart, because we saw what he did and he could very well do it again. 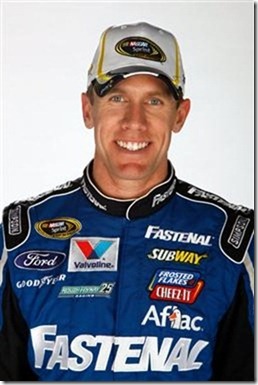 However, someone once said “You have to lose a championship before you can win it” and the driver that fits that bill is Carl Edwards. Carl knows what he needs to do to win it this time around. 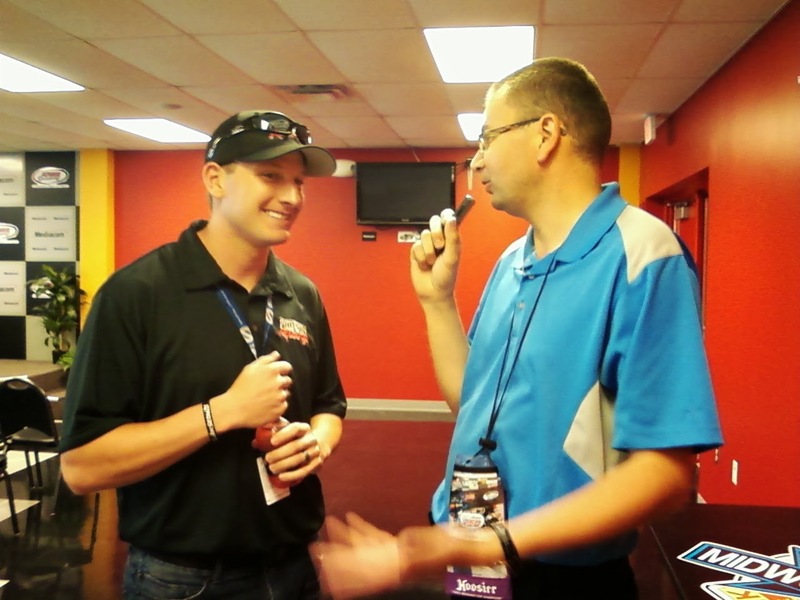 He’s focusing on the Sprint Cup Series and plans to run few, if any Nationwide Series races, putting his full attention to the task at hand, winning the 2012 championship. I think the Fords will have an advantage with the FR9 engine in 2012 and with the new fuel injection the larger teams can draw from additional information. 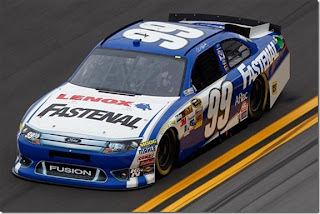 Carl Edwards was incredibly consistent in 2011 with 26 "top 10" finishes but won only one race. People forget about his Roush-Fenway teammate Matt Kenseth, he had the third most "top 10" finishes last year (20) plus scored 3 wins. He finished 4th in points even though he had some bad luck in the Chase (thanks to Brian Vickers). 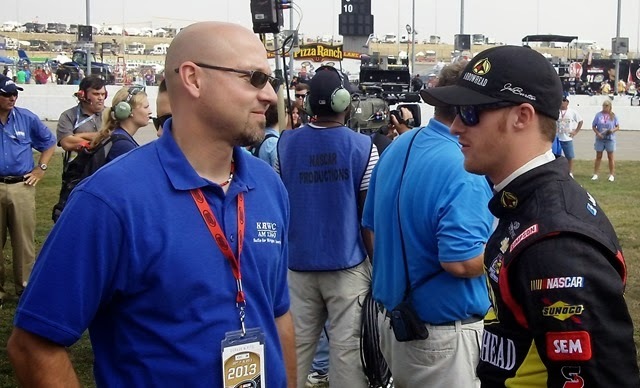 Matt won the Championship in 2003 and his crew chief Jimmie Fennig won the title with Kurt Busch in 2004. Plus, he has the fastest pit crew in NASCAR. 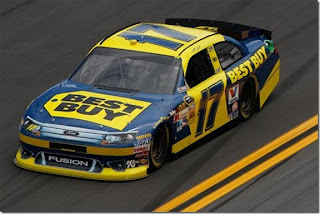 Limited sponsorship will not be a problem for the #17 car, Jack Roush showed his support in the off season saying this team will stay intact no matter what. 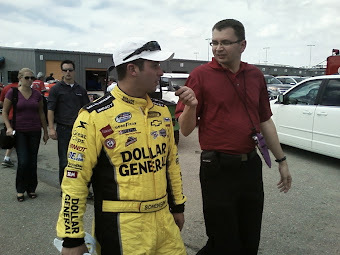 Smart, fast and consistent will win in 2012 and Wisconsin native Matt Kenseth fits the bill. For the last six seasons, I’ve always been an ardent believer that until someone knocked Jimmie Johnson off the championship pedestal, he was unquestionably the favorite entering the season. Now for the first time since the beginning of the 2006 season, we enter a year without Johnson being referred to as the “defending champ.” And while it’s very easy to say the man who won five consecutive titles will return to his winning ways in ‘12, I don’t think that’s the case. In what I think will be a wide-open title race, I strongly believe when the checkered flag waves at Homestead to closeout the 2012 season, it will be the man who came oh so close a year ago to winning it all, finally seizing the brass ring. After several near-misses, andwith the speed, smarts and the confidence needed to win, not to mention a greatteam instep with him, everything is lining up for Carl Edwards to win his first Sprint Cup championship. While I think there is still something to be said about the “Season-After Affect” that has recently plagued the guy who finished second in points the year before, Edwards will prove to be immune from such a disease.